The annual FIFPro tournament for out-of-contract footballers takes place in Oslo on Thursday. Scully: manages the PFAI squad in Thursday's tournament. EIGHTEEN OUT-OF-CONTRACT footballers can catch the eye of a new club when they represent Ireland at a tournament in Norway later this week. 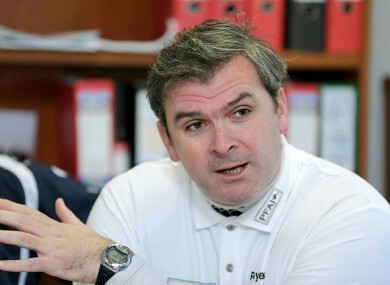 Former Limerick FC manager Pat Scully takes charge of the PFAI panel which departs tomorrow for the third FIFPro tournament in Oslo, organised annually by the international players’ union in a bid to help unemployed players find a new club. Ireland, who finished as runners-up last year, play a Norwegian selection in their opening game on Thursday while Sweden and Finland will also be represented. Email “PFAI names squad for Norway tournament”. Feedback on “PFAI names squad for Norway tournament”.